G Edward Griffin has been around a long time, he is definitely an old school truther as many call themselves today. Long before the internet came around G Edward Griffin was shining a light on the concepts of the Illuminati, the social engineers or the New World Order as they are commonly refereed to today. Griffin is well know for his documentaries such as The Creature from Jekyll Island which gets into how the Federal Reserve was created secretly in the night , and we all know how well that has worked out for us , can you say hyper inflation, constant wars for profit, boom bust cycles and an ever growing class of elite super rich. 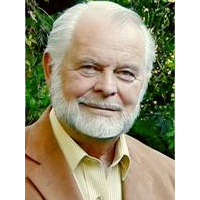 G Edward Griffin is definitely one of the Grandfathers of conspiracy theory and routinely appears on various radio shows like the Alex Jones show and Coast to Coast. Even at the age of 79 he is still articulate and even more relevant than ever. There are so many contributions from this voice that I don’t even know where to start , but one of the main themes that always stands out from this Libertarian minded soul is the battle between Individualism and Collectivism. And that is translated now into what many of see as the war on consciousness, or the info war as Alex Jones has coined over the years. From a greater perspective, zooming out here again with my microscope , it really gets back to the Mayans and the Evolution of Consciousness , and that’s where I generally view things from. The perspective that essentially all of us are the personification of universe. That war and peace is just a construct of the dualistic universe we happen to be in right now , a type of program agreed upon by all the participants in this wondrous experiment we call planet earth. Check out the books below by G Edward Griffin ! Here G Edward Griffin discuses: The Dangerous Servant A Discourse on Government. G Edward Griffin on Individualism Versus Collectivism.